Salar de Uyuni, the world’s largest salt flat is in Bolivia and is often visited as part of a 3 or 4 day tour of South West Bolivia. Salar de Uyuni covers a 10,000 km2 in Potosi region and the salt is more than 10 meters thick in the centre. During dry season, the salt plains tend to be totally flat expanse of dry salt. However, during the wet season, it is covered with a thin sheet of water which is traversable. 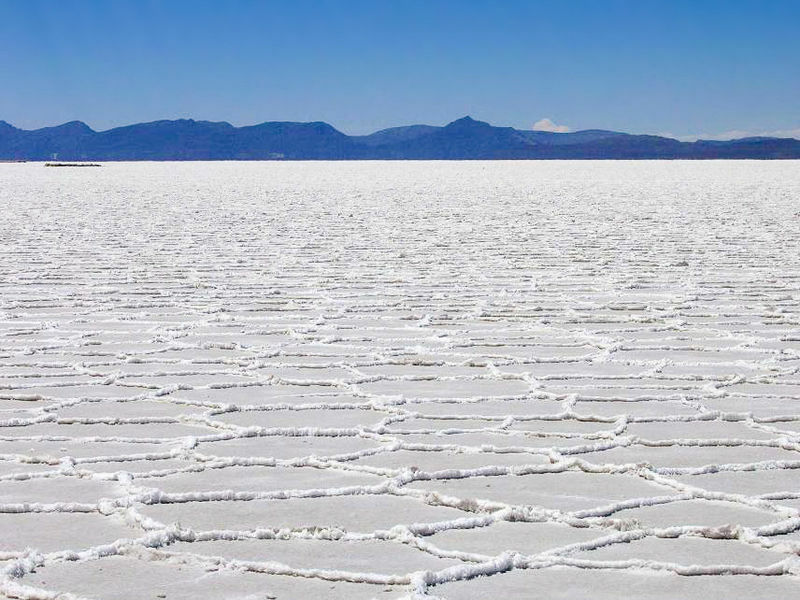 It was a part of a prehistoric salt lake, Lago Minchin that seemed to be covered on one occasion, most of southwest Bolivia and when it dried it left a couple of season puddles as well as many salt pans which included the Salar de Uyuni. The unrestrained beauty of this huge salt desert tends to make it one of the most breath-taking spectacles of South America. This seems to be the most unforgettable Bolivian landscape, from the strange islands in a sea of strikingly bright salt to skilfully coloured mineral lakes in the Andean mountains. Fatal accidents could arise owing to unsafe vehicles and travellers need to take great precautions in choosing the tour operators to go along with them while visiting the salt flats. Visitors should ensure that their vehicles tend to have seatbelts, emergency radio transmitters as well as first aid equipment. They should also check on the guides’ level of experience and training to ensure safety during the exploration of this destination. Comprising of an estimated 10 billion tonnes of salt, a query often rose as to how Salar de Uyuni originated. Fundamentally, the Altiplano or high plateau here did not seem to have drainage outlets meaning that the water from the surrounding mountains got collected forming a giant lake. High salinity would mean that while this huge prehistoric lake has evaporated long ago under the Andean sun, a thick crust of salt remains formed what is now recognised as the salt flats of Salar de Uyuni. The legend of Aymaran provides another explanation which involves the mountains surrounding the salt flats, Kusina, Kusku and Tunupa and the story goes on to say that these mountains were once a giant people and Tunupa as well as Kusku were married. When Kusku had betrayed his wife for Kusina, Tunupa’s tears were said to have formed the salt flats. The most popular and best way to experience Salar de Uyuni is to take a 4 x 4 tour to the salt flats with shared tours which normally accommodates up to 6 tourists. For a comfortable experience a private tour could be hired. These tours tend to take a minimum of one night stay in some basic accommodation and it is suggested to bring along plenty of warm clothes with warm sleeping bag for the night. Sun cream could be advantageous since the reflection from the salt highlight the suns effect.In dry season, this destination is a dreamlike experience which should not be missed but the rain could take you to a totally new level. A thin sheet of water covers the flats and reflects a precise representation of the sky above which makes it impossible to note where the sky ends and the land starts.